The Twin Cities is fortunate to have such great paddling opportunities within the metropolitan area. Thanks to the Mississippi River and the many watersheds formed throughout the years, the paddling routes are bountiful. Just north of St. Paul, found within the Rice Creek Chain of Lakes Regional Park, you can find a 9-mile water trail that takes you from Peltier Lake boat landing to Lexington Avenue. 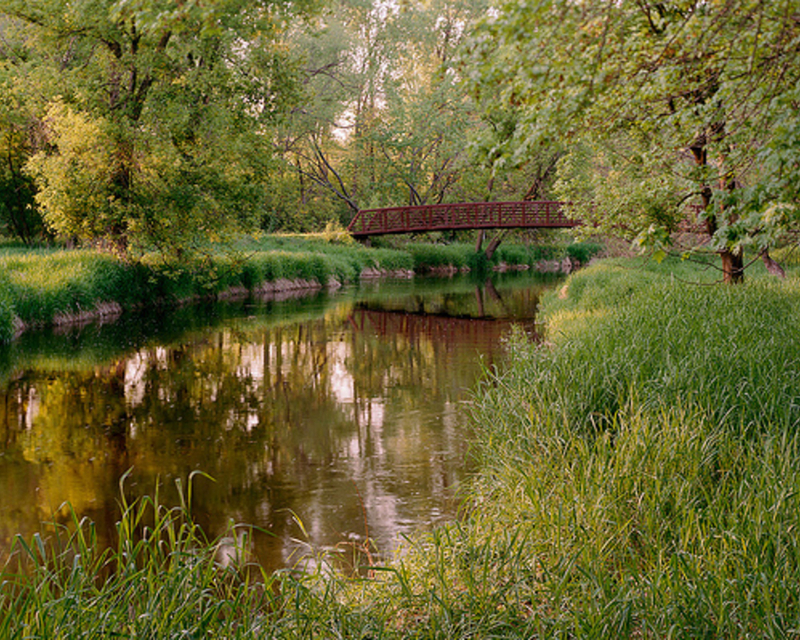 Not only that, but Rice Creek also continues further southwest, meandering through a suburban jungle until reaching the majestic Mississippi River. From Peltier Lake Boat Landing, you are in the heart of the Rice Creek Chain of Lakes Regional Park. The distant hum of highway traffic is muted by the sounds of birds singing, lapping water, and wind-blown tall grasses. Peltier Lake is quite expansive and offers a relaxing, fun atmosphere. There is even an island to the north that serves as nesting grounds for herons and other waterfowl. Depending on the season, the shallow regions in the most northern point of the lake may have algae blooms. So, focus your time in the southern portion until you’re ready to begin your 9-mile paddle. From the boat landing, veer northwest until you find yourself paddling through a small channel. After crossing under county road 14, the water trail opens up into a grassland prairie and marsh. For the next half a mile, tall reeds and black-wing blackbirds guide you through the channel. Once you reach George Watch Lake, you have a couple options. Just around the bend, to your right, is the Wargo Nature Center. A pleasant place to have a picnic, especially near the center’s bird and nectar feeders, the nature center also offers interpretive exhibits and hiking trails. Following the water trail, you may notice, though being far from shore, that the waters seem shallow. This is because the deepest part of the lake is a mere 4 feet. Weave along the southern edge of the lake until you find yourself paddling within a lowland floodplain. The world around you becomes much smaller as you enter the Rice Creek channel. Naturally made tunnels of ash and dogwood shade you and tall grasses reach over the waters, grazing your boat. Depending on the season and recent weather, this portion of the water trail can be dangerous. If the water is high, low hanging bridges become a concern and small rapids form. Even on a calm day, there are still a small rapid or two, but with a little bit of technique or avoidance, it is easy to maneuver. 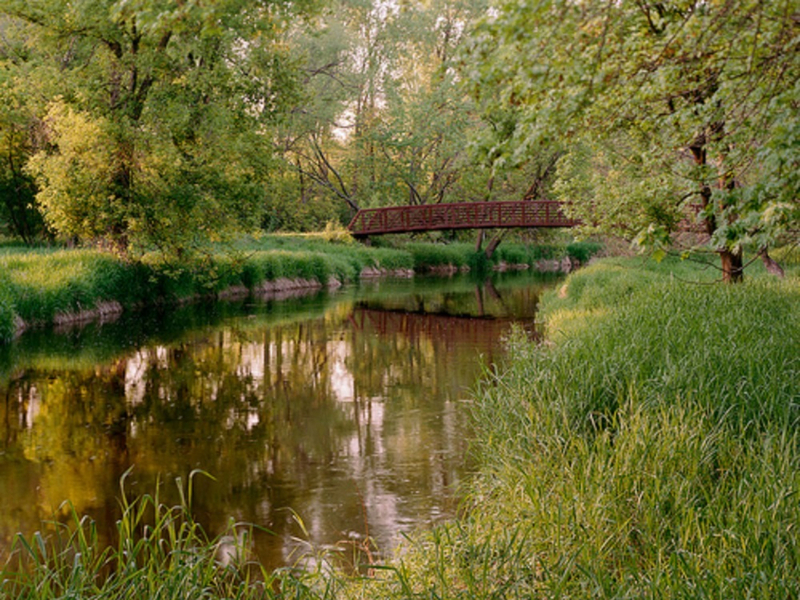 Completely surrounded in regional parkland, this portion of the water trail is the most tranquil. After the Rice Creek Channel, lean back and relax. For the next few miles, you paddle through Marshan, Rice, and Baldwin lakes. With short channels in-between these lakes, it isn’t until after Baldwin Lake that you have to test your maneuvering abilities again. After a good rain, usually during spring or mid-summer, Upper Rice Creek water trail is a great paddle for all skill levels. At times, there is a little bit of moving water here and there, but nothing too serious. Allow yourself approximately 3 hours to paddle the 9-mile stretch through Rice Creek Chain of Lakes Regional Park. If that sounds too short for you, the trail does continue for another 13 miles, reaching all the way to the Mississippi River. Parking is available at Peltier Lake Boat Landing, Aqua Lane, Lexington Avenue, County Road I, Old Highway 8, and Long Lake Boat Landing. Most people start their journey from Peltier Lake Boat Landing.